A LOS ANGELES BASED NONPROFIT DEDICATED TO EMPOWERING STUDENTS, ESPECIALLY GIRLS, TO EXPLORE FUTURES IN STEM LEADERSHIP. Girls and boys as young as 6 years old already believe that intelligence is a male trait? Starting at a very young age, girls are systematically discouraged from entering fields of Science, Technology, Engineering and Mathematics (STEM). Consequently,women hold only 29% of STEM jobs. Women from marginalized groups hold an even smaller percentage of STEM jobs. As such, it is extremely important to increase equity, diversity, and inclusion in STEM fields. We seek to dismantle restrictive notions of who can be a scientist, before biased perceptions of STEM professionals are internalized. 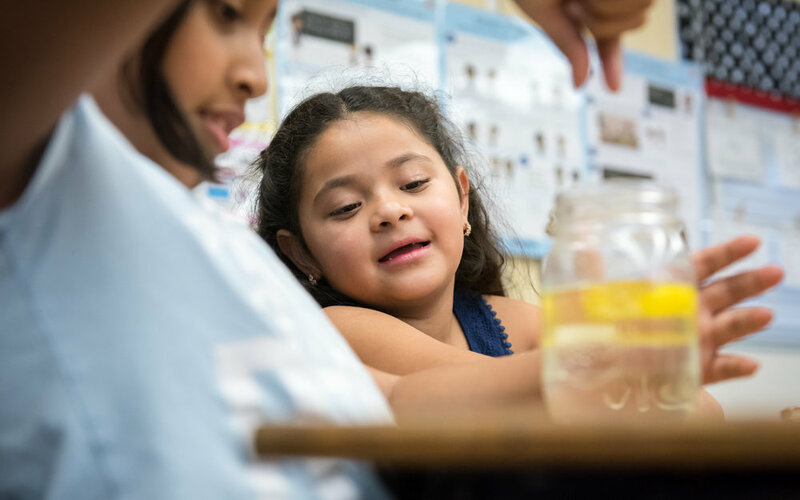 Our program achieves this by connecting and engaging students across generations using empowering dialogue and hands-on science experiments. Boundless Brilliance chapters on college campuses organize college student volunteers to interact with local elementary school students, especially girls. The goal of these interactions is to encourage students - both the college-age volunteers and the elementary-age participants - to have the confidence to explore futures in STEM. By working with students beginning at age 5, we hope to build confidence in students before they begin to question their abilities. Engaging with college students helps to reinforce their capabilities at the critical time when they are about to enter the workforce. Our program is available to all genders because we believe that true gender equity will not be achieved until all people believe that girls are brilliant and their potential is boundless. Join us at the upcoming March for Science event A Space Exposition. We will will be there hosting a science booth! An afternoon of games, hands-on experiments, and family fun!